It's just before daybreak at Coopers Beach on the east end of Long Island. Strong storms overnight are causing a very heavy surf along Coopers Beach. As they sky begins to fill with light, last nights storm clouds can be seen hovering over the Atlantic Ocean. 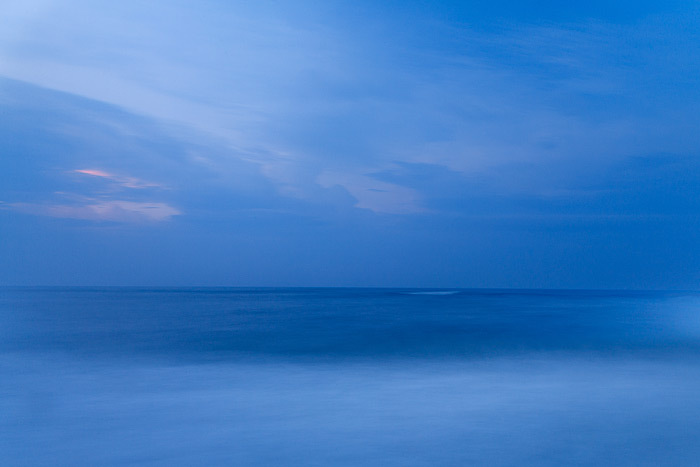 Because of the soft blue light this morning, I used a long exposure to create a dreamy effect along the beach which has helped to smooth out the breakers this morning. Photo © copyright by Thomas Mangan.